Whilst atg airports continue to provide cutting edge AGL products to new and existing customers across Europe, the Middle East and South East Asia; the projects team have undertaken atg’s first installation contract in Kenya. 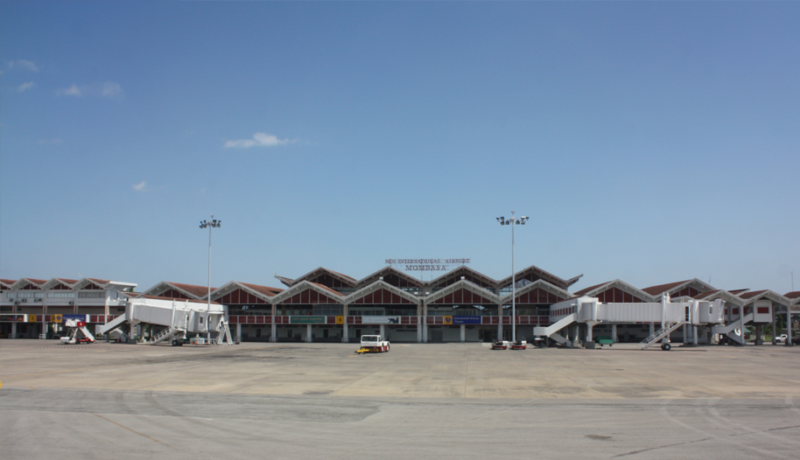 Moi International Airport is located on the outskirts of Mombasa, is the second busiest airport in Kenya and provides international transport links to major cities across the world. The project called for the development, installation and commissioning of a new AGL control system, including remote control console based maintenance monitoring system with fibre optic control cables providing seamless communications to the new Micro 100 CCR’s. In addition to replacing all of the approach, runway and many of the taxiway and apron luminaires, atg also supplied the primary series circuit cable, secondary cable, transformers and connector kits that were used in the new cable ducts, trenches and transformer pits that were constructed as part of the project. Upon completion of the installation, atg airports engineers were then responsible for the testing, commissioning and training of the entire system airfield lighting system and circuits along with the airports team of engineers.